I had been debating about the idea of focusing on children's fiction more on Amy's Bookish Life. I think it's really important for children to read and explore fiction whilst they are still young. 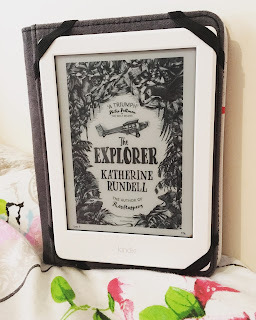 So, after much deliberation, I decided to give it a go and started reading my first children's book The Explorer. I wasn't sure what to expect from it, all I knew was that the cover was gorgeous and that it was sure to take me on an epic adventure. Four children - Fred, Con, Lila and Max are on a plane back to England from Manaus, Brazil when the plane they are on crashes and the pilot dies upon landing. Stuck in the Amazon Jungle they learn to survive alone, eating whatever they can forage, building shelters and fastening a raft to help them sail up the river. That is, until Fred finds a map that leads them to an undercover city and one big secret. Firstly, I'll say that it did take a me a while to get into The Explorer. I understand that it's aimed at a much younger readership than myself but I felt that it was a slow burner to begin with. I almost found myself becoming bored and wanting to give up on it. However, as soon as the second half of the story kicked in I was hooked. I was taken on an entrancing journey through the Amazon Jungle and I loved every minute of it. If you can get through the slow start, then you will be pleasantly surprised..trust me. The detail within this book was great. The description of the surroundings of the jungle, the food the children find to eat and the sounds and sights of the animals they encounter just carry you away into the jungle with them. With children it is always good to have lots of description to let their imagination run away with them and in The Explorer this was done exceptionally well. You feel like you are in amongst the action with the children and for that I applaud Katherine. We don't learn much about the children on a personal level during the story but I feel that we get to know enough about them as to become attached and feel proud as they grow as the story progresses. Fred, has led a sheltered life and feels unloved by his father. With him we watch as he turns into one brave hero who ultimately saves the day. Con, is slightly mean and afraid of everything when we first meet her but towards the end we see her soften and face up to her fears. Then we have siblings Lila and Max. Lila has to take the role of mum with her younger brother and we see how much she truly does care for him. Max, I did find him slightly annoying at first but I grew to almost love him as a character. He was put their for comic relief in my opinion and for the most part it worked. In the middle of the story we meet The Explorer - a troubled yet mysterious man who lives in the city. At first he seems scary, detached from reality and unhinged and the children do seem a little worried by him. As we learn more about him, however, we start to realise why is that why and you do start to feel sorry for him. He helps the children with finding their potential and he starts to become a father figure. At the end of the story he is still a mystery and you'll be left guessing who he is really. 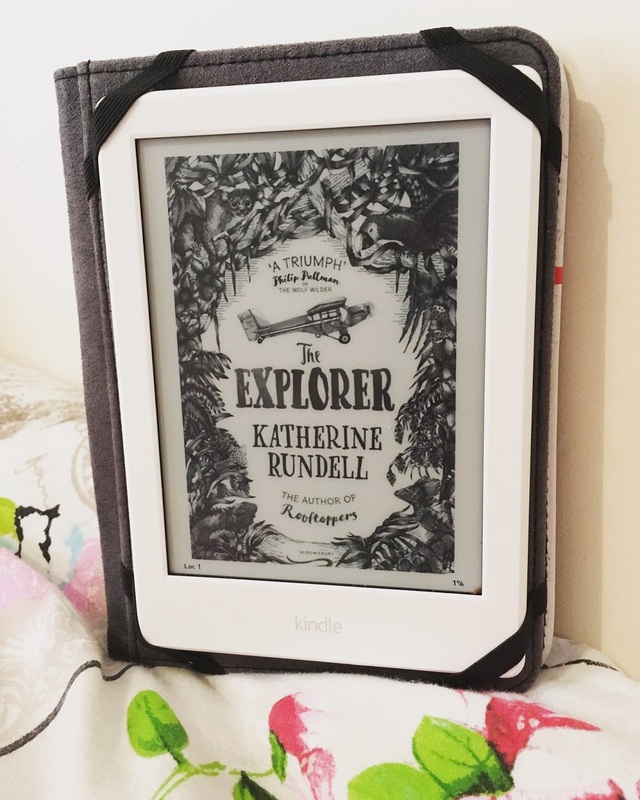 The Explorer was a great little story about adventure, survival and finding out who you really are. The historical setting was great, the characters were all fully rounded and developed and it does make you feel like you are really in the jungle. The only thing that didn't set right for me was how slow it started and it did take a lot of willpower to carry on reading. Mind you, I feel that this is a perfect book for 9 - 12 years old to devour and become engaged with. 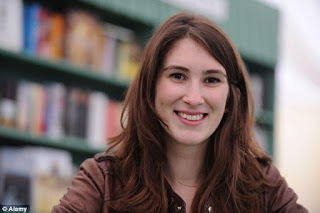 Katherine Rundell is the author of Rooftoppers, Cartwheeling in Thunderstorms (a Boston Globe–Horn Book Award winner), The Wolf Wilder and The Explorer. She grew up in Zimbabwe, Brussels, and London, and is currently a Fellow of All Souls College, Oxford. She begins each day with a cartwheel and believes that reading is almost exactly the same as cartwheeling: it turns the world upside down and leaves you breathless. 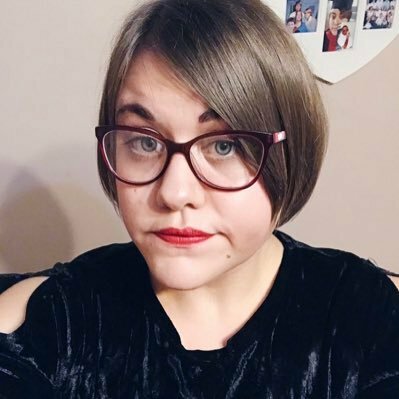 In her spare time, she enjoys walking on tightropes and trespassing on the rooftops of Oxford colleges.